3 weeks in Bali. 3 different places. All equally epic. Our bags didn't make our flight and arrived 48 hours later. 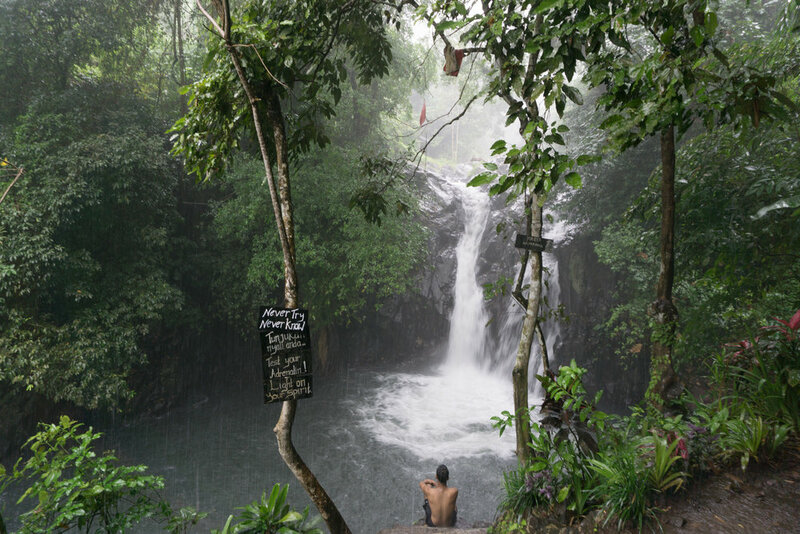 But realistically, what more do you need for a good time in Bali besides the clothes on your back? Enveloped in the Indonesian humidity at Denpasar airport, we were able to find our Airbnb hosts with relative ease and were immediately relieved of all of our literal and physical baggage worries. We were welcomed into our poolside villa late at night, as we listened to the frogs croaking in the tropical bush across the way. 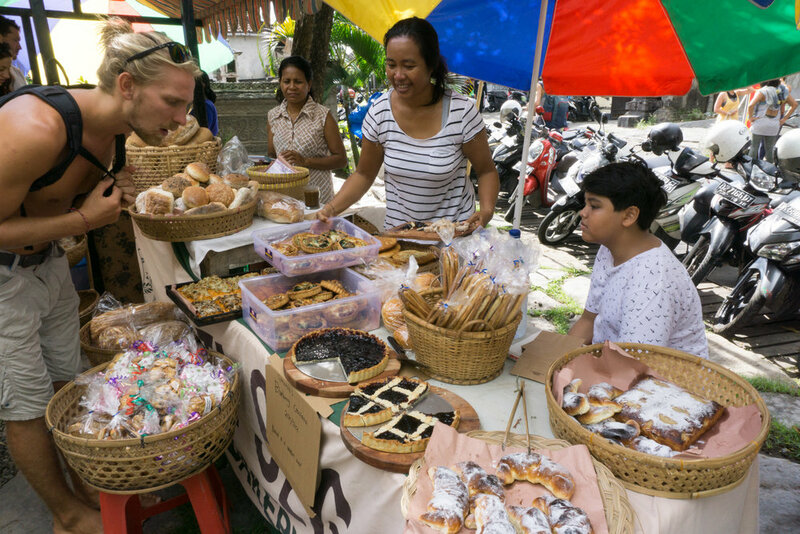 Our five lazy days in Ubud felt slow as they were happening, but zoomed by in retrospect. A normal day would start with breakfast in the common area of the villa with the other guests. Usually an order of Nasi Goerang and Banana Pancakes to share, along with an icy cold watermelon juice and some local coffee. That would turn into a conversation with Wayan (the compound owner) about life on his compound and growing up in Bali. After breakfast, we'd mosey into town usually on a scooter for some combination of a yoga class and a mini adventure. 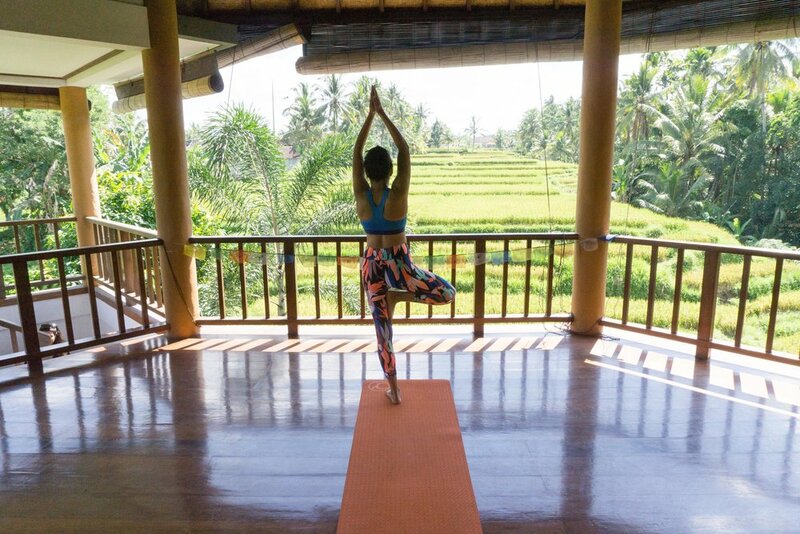 Our favorite yoga studio in Ubud was called Ubud Yoga House which is tucked away amongst the rice paddies surrounding town. We'd cool off in classic Bali hipster fashion, with a happy hour Acai Bowl before grabbing dinner somewhere around the town center. We didn't find much of a "party" scene" preferred an early night. 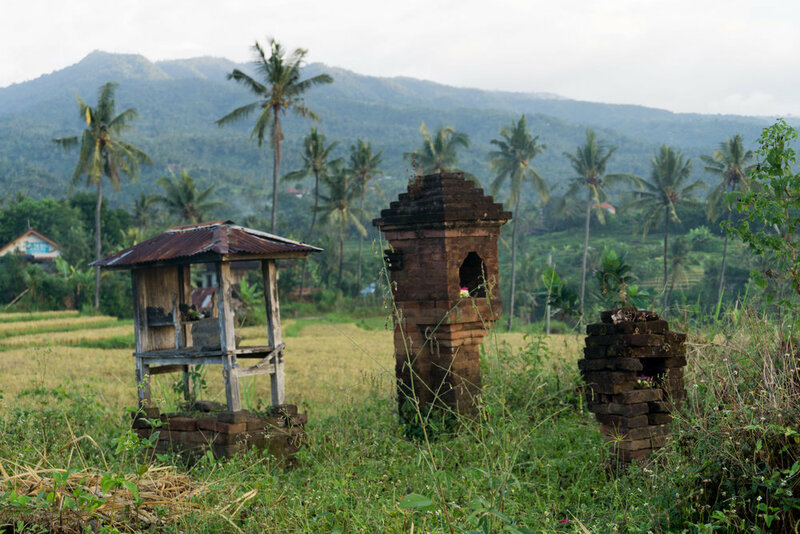 Pronounce chaa-ngu, it is the gem of Bali. 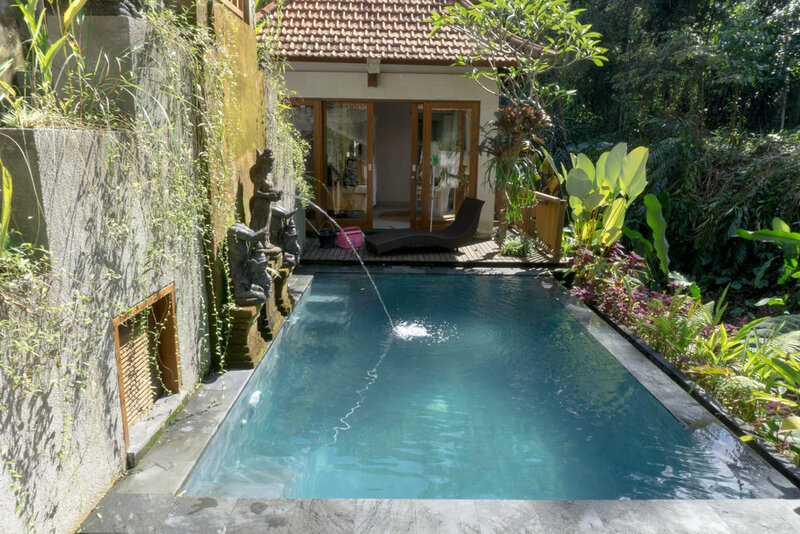 It takes all the best qualities of Ubud, and squeezes it into a smaller town by the beach, only a stones throw from the hustle and bustle of Seminyak. 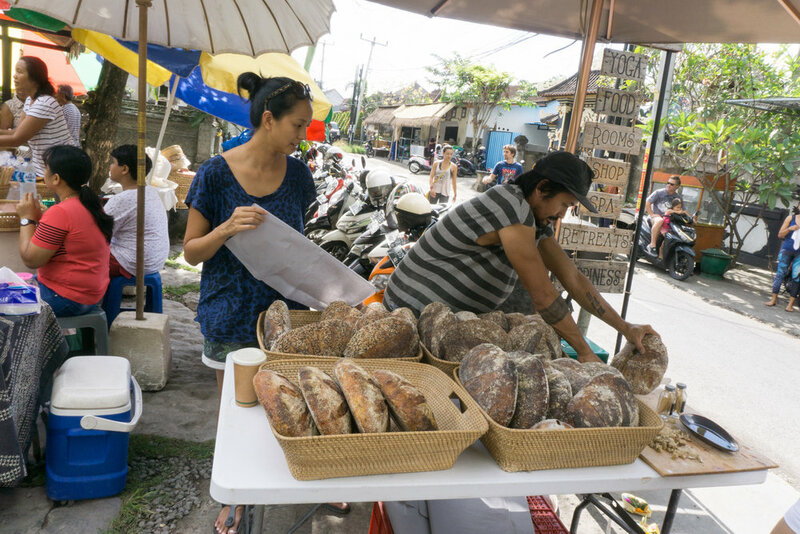 We found our favorite food, the best yoga studios and the most interesting people in Canggu. It seemed like it was also an epicenter for "digital nomads" and other extended travelers because of the multiple co-working spaces and cafes dotted around town. Our favorite yoga studio was called The Practice and had some of the best instructors we have ever practiced with. Breakfast at Peloton Supershop cannot be missed, especially the Pedal Power Pancakes! If you are there on a Sunday, the Samadi farmer's market is a must do that has a bountiful offering of fresh produce, baked goods, juices, spices and just about anything else you can imagine. Lastly, grab a beer or cold coconut near echo beach to watch the sunset, which is perfectly paired with the spicy lemongrass grilled corn sold by the street vendors. It is the ideal way to wind down the day, and will be one of those memories that keeps calling you back to Bali.